A popular mental health programme delivered by Crawley Town Community Foundation is aiming to increase its programme delivery by seeking the support of the local community and business through a crowdfunding initiative. Move the Goalposts is a sport and personal skills programme, for those aged 18+ who are experiencing (or at risk of experiencing) mental health difficulties. The free, weekly two hour sessions incorporate sports activity sessions with subjects including personal development and well-being, all based upon the needs of the participants. Previous sessions have included food and mood, budgeting and presentation skills, as well as general team building activities, all aimed at increasing the wellbeing of participants. Sessions have proved to be a great success and has enabled participants to improve personal development skills and fitness levels through a range of activities. 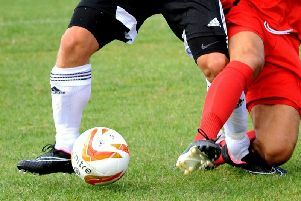 Crowdfunding initiatives through Crawley Borough Council and West Sussex County Council are being used for the members of the local community and businesses to raise funds for the long-term viability and sustainability of Move the Goalposts, and ultimately to keep supporting and helping those most at risk of mental health. A funding target of £9,453 has been set to enable the project to be delivered for a year, and we are appealing to members of the local community to pledge out of goodwill until the target is reached. Currently a total £1,084 has been raised which is a fantastic start. The minimum pledge is £2, which isn’t donated until the funding target is reached. Move the Goalposts currently runs every Wednesday, from 2pm-4pm on the Biffa 3G Community Ball Court at the Broadfield Stadium. Sessions are open to anyone aged 18+, and no official mental health diagnosis is required. Sessions are free of charge to participants. We would like to thank you for your ongoing support and should you have a business interested in support this project, please contact community@crawleytownfc.com to discuss how we can support and acknowledge your donation.